At the tip of Texas, the lush, subtropical Rio Grande Valley produces the world’s finest grapefruit and oranges, helped by abundant sunshine, warm Gulf breezes and rich delta soils. The Crockett family has been in the citrus business since the 1930s when Stanley B. Crockett, Sr. planted his first groves. Those orchards thrived, nurtured by his love for growing citrus and his years in horticulture. In the 1960s, his son Brad Crockett, blessed with the same passion for citrus, decided the family should share their sweet, tree-ripened citrus and began shipping gift fruit nationwide. Today Brad’s son Allan and his family continue the Crockett tradition, sending fragrant, delicious grapefruit and oranges. Crockett Farms selects only the top five percent of each harvest, truly the cream of the crop. Although a citrus tree produces about 330 pounds of fruit, only 40 pounds of that meets our high standards. Hand-picked, cleaned and then hand-packed with care, our fruit is shipped immediately to delighted recipients. This is how we can guarantee you absolute orchard freshness. Texas citrus makes a perfect gift— smelling like tropical sunshine, bursting with flavor. 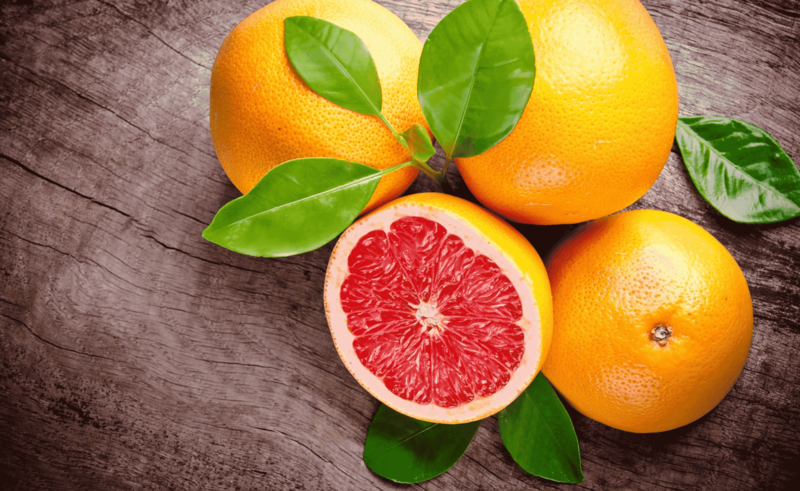 And our Ruby Red grapefruit brings a naturally sweet splash of red to your holidays.